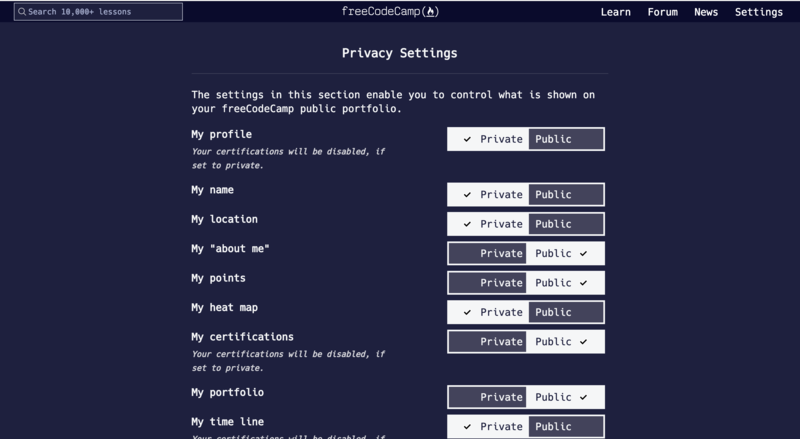 We want freeCodeCamp.org to look and feel like the command line interfaces and code editors that professional developers use for work. We couple this "command line chic" aesthetic with large fonts, high-contrast layouts, and explicit buttons and links. Our logo appears in two variations. The preferred version of the freeCodeCamp logo and should appear on the majority of branded materials. Used when production restrictions do not allow the use of the full logo. 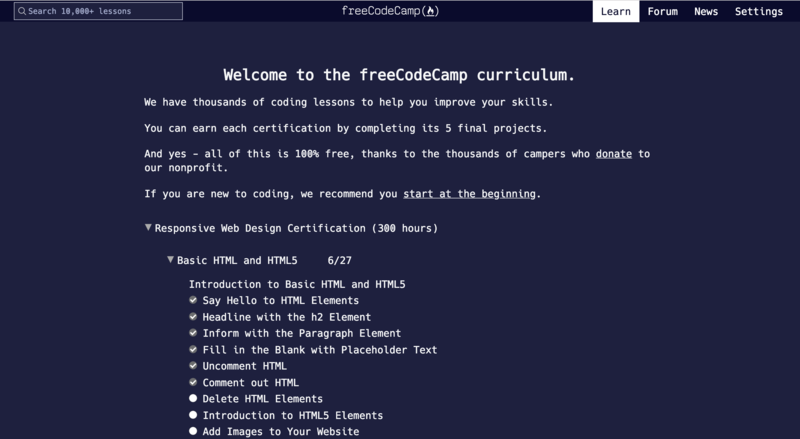 The freeCodeCamp logo is designed for use primarily on dark backgrounds. For instances in which the full color logo is not practical, the following color combinations are approved alternatives. We use Hack as a primary monospace font. We use Lato as a primary proportional font in longer sections of text. We use SaxMono as the font in our logo. 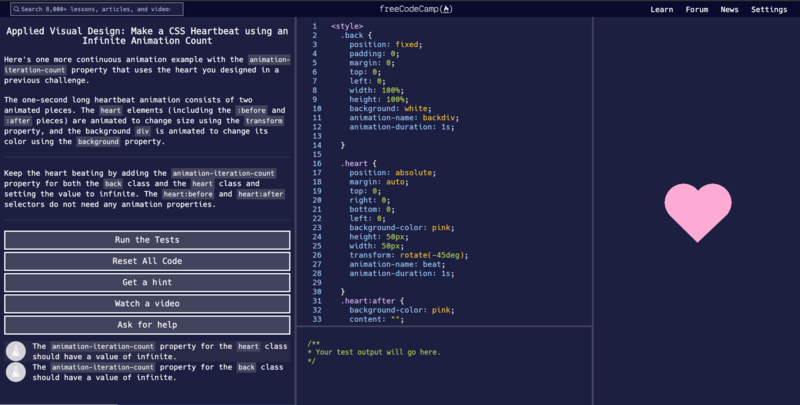 We use Menlo for our browser-based code editor. To achive a flexible dark and light theme, freeCodeCamp's layouts consist of four color pairs with various contrast levels. The contrast difference between two colors in a pair represent their visual hierarchy. For instance, the pair with the highest contrast difference is reserved for primary background and content. This system allows flawless theme changes by switching the colors in each pair and preseving their contrast and visual hierarchy. freeCodeCamp accent colors consist of two sets of four colors. The primary colors are used on a dark background and the secondary colors are used on a light background. To maintain the integrity of the freeCodeCamp logo, it is important that you provide adequate space around the logo. To ensure enough spacing, give 50px or greater padding to each side. The consistent application of color plays an extremely important role in the freeCodeCamp identity system. The examples below illustrate a few inappropriate applications of the logo. Feel free to reach out to us at team@freecodecamp.org with any questions about this freeCodeCamp style guide.